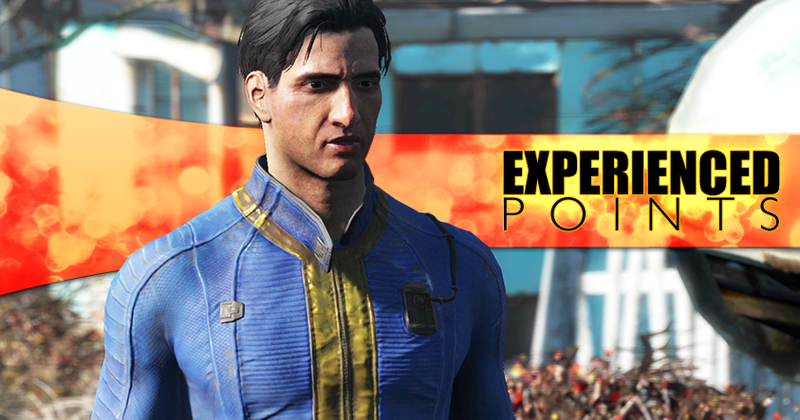 Why is the Main Character in Fallout 4 Voiced? Bethesda isn't a game developer, they're a mad science lab. Every game they release is a crazy mix of fun ideas, terrible ideas, expansive environments, crazy bugs, fun characters, embarrassing stories, ambitious design goals, breathtaking scenery, wonderful atmosphere, and absolutely baffling design decisions. The baffling decision this time around was the choice to fully voice the main protagonist. I get how this seemed like a good idea. Lots of people openly dislike that everyone else in the world has a voice, but their character is silent. This goes back to the longstanding tug-of-war between people who want to get to know a pre-made character (Geralt of Rivia, JC Denton) versus people who want to play a blank slate character (Doom Guy, the protagonist of KOTOR) and the inability of developers to figure out which group they're trying to please. Bethesda probably naively thought they could add a voice to the main character and placate both groups. But "blank slate" and "character" simply do not mix. When someone says they want their character to have a voice, they're probably also assuming that voice will mesh with their own views on the world. But while fixed characters work well enough in linear, cutscene-driven games like Deus Ex and Tomb Raider, they don't work nearly as well for free-form games. The problem is that a dissonant voice is worse than no voice at all, and the Fallout 4 character is relentlessly dissonant. And in a free-form game it's difficult - bordering on impossible - to accommodate all the possible reasons players might have for doing things. Let's say you plunge into a ruin and (for example) wipe out a bunch of Brotherhood of Steel members. Why? Because you wanted their gear? Because from an in-character perspective you saw the Brotherhood as a threat to the nearby village, even though you know that danger isn't real in gameplay terms? Because you were just about to ding level 30 and you just needed a few XP to push you over the limit? Because you hate, hate, HATE the Brotherhood? Because you felt like it would please the rival faction you're working for? Because you got lost and didn't realize you were actually supposed to be cleaning out the building next door? Or maybe you were just wandering around aimlessly and this seemed like the next logical step on your murder tour of the post-apocalypse? Those are all fine reasons for killing a bunch of stuff in Fallout. But then someone asks you about it in dialog and your character has to answer. There's no way the game designer can offer you choices to reflect every possible line of thinking, so they guess at a few likely ones. So you pick the one that feels the least wrong to you. Maybe you say you don't like the Brotherhood. But then the voiced character delivers the line with a level of outrage and bloodlust that's completely alien to you, and they add a bunch of quasi-religious dogma that you actively disagree with. I think this disconnect between player and character is far more jarring and alienating than having the player's lines be text-only. 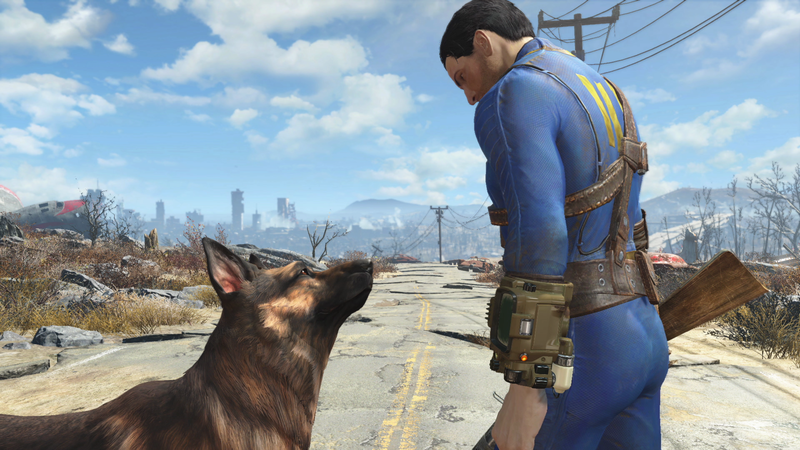 And this is what's so strange about Fallout 4. It seems to be the worst of both worlds. The character keeps emoting and acting like they have a personality, which prevents the player from filling in those blanks with the character design in their head. They can't project themselves onto this character. But at the same time, the protagonist isn't characterized strongly or consistently enough to be interesting. They don't really have a personality of their own for us to discover. And even when they do try to give your character some kind of personality, it doesn't make any sense. Your character freaks out over the puppy-sized roaches and dried skeletons they find scattered around the vault when they wake up at the start of the game. Then half an hour later they kill twenty men and fight a Deathclaw without a hint of surprise. Their silence wouldn't be so strange if they hadn't made a fuss about the earlier stuff. The game designer acted like they were going to write us a character, and then they abandoned that idea and left us with this half-formed protagonist. And then we have the problem of (lack of) choice.